Decades-old radioactive glass found blanketing the ground after the first nuclear test bomb explosion is being used by scientists to examine theories about the Moon's formation some 4.5 billion years ago. In a new study, Scripps Institution of Oceanography at the University of California San Diego Professor James Day and colleagues examined the chemical composition of zinc and other volatile elements contained in the green-colored glass, called trinitite, which were radioactive materials formed under the extreme temperatures that resulted from the 1945 plutonium bomb explosion. 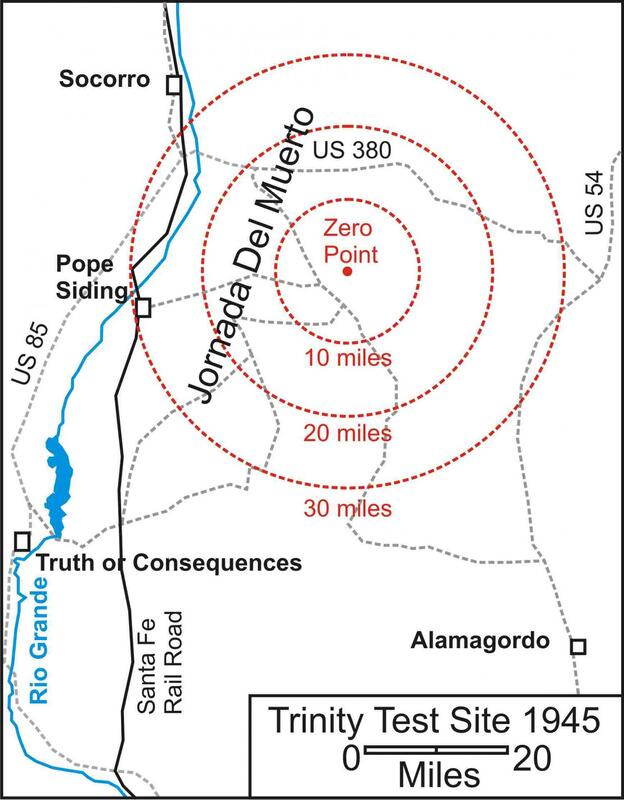 The test samples analyzed were collected between 10 meters (30 feet) and 250 meters (800 feet) from ground zero at the Trinity test site in New Mexico. 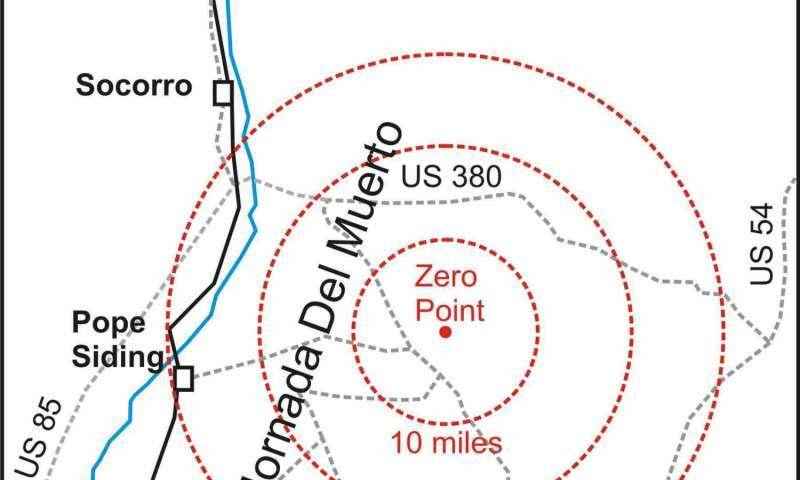 When compared with samples collected farther away, the glass closest to the detonation site was depleted in volatile elements such as zinc. The zinc that was present was enriched in the heavier and less-reactive isotopes, which are forms of these elements with different atomic mass but the same chemical properties. 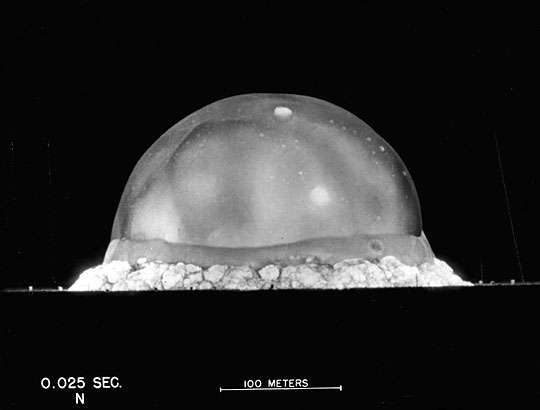 Zinc and other volatile elements, which vaporize under high temperature, were "dried out" close to the explosion than those further away from the blast. 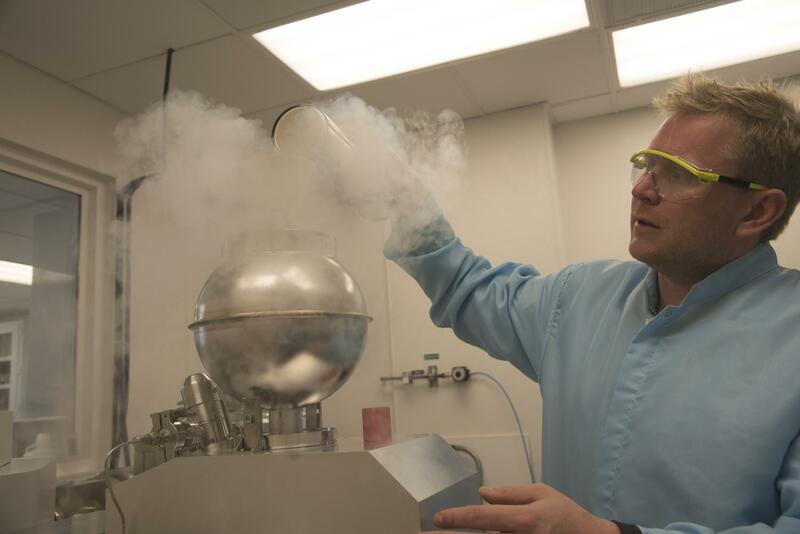 The findings were published in the Feb. 8 issue of the journal Science Advances. "The results show that evaporation at high temperatures, similar to those at the beginning of planet formation, leads to the loss of volatile elements and to enrichment in heavy isotopes in the left over materials from the event," said Day, a Scripps geoscientist and lead author of the study. "This has been conventional wisdom, but now we have experimental evidence to show it." Scientists have long suggested that similar chemical reactions took place when a collision between Earth and a Mars-sized planetary body produced debris that ultimately formed the Moon. The analysis by Day and colleagues found similarities between the trinitite and lunar rocks in that they are both highly depleted in volatile elements and contain little to no water. Day's study provides new evidence to support the "giant impact theory" of the Moon's formation. 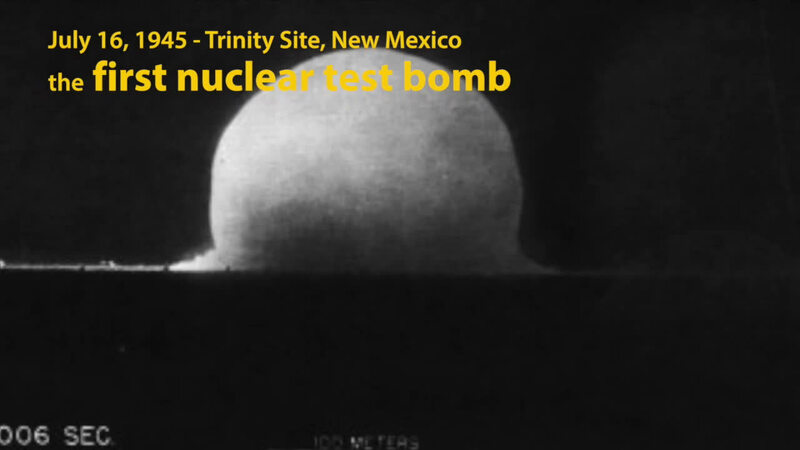 The thin sheet of trinitite at the New Mexico desert test site, which extended roughly 350 meters (1,100 feet) out from ground zero, formed from the heat, as the nuclear reactions took place. The study's findings showed that volatile elements undergo the same chemical reactions during extreme temperature and pressure events whether taking place on Earth or in outer space. 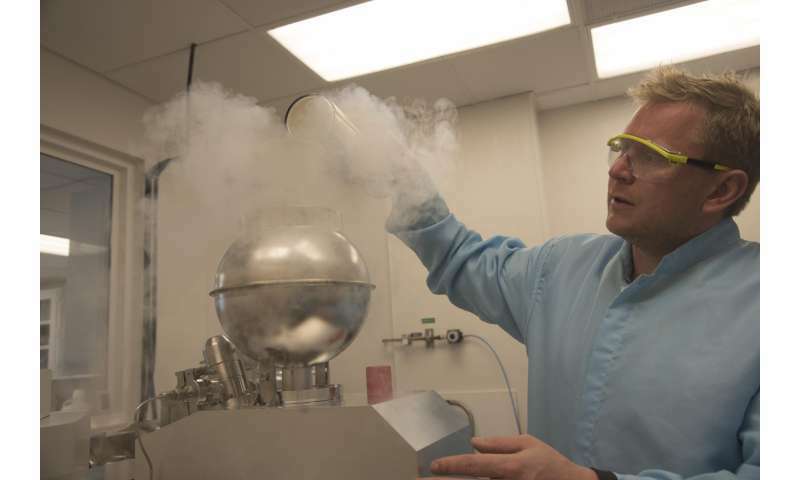 "We used what was a history-changing event to scientific benefit, obtaining new and important scientific information from an event over 70 years ago that changed human history forever," said Day, director of the Scripps Geochemistry Isotope Laboratory. How old is our moon?